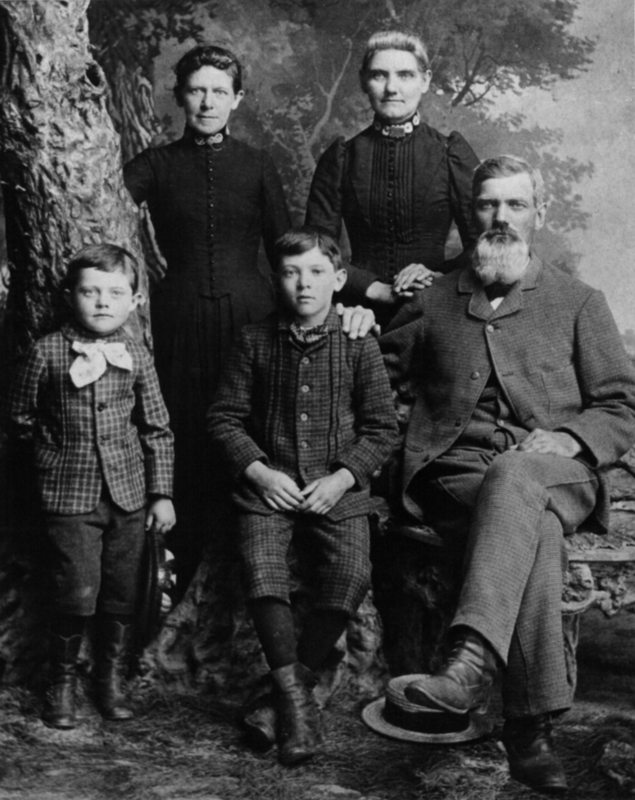 The Earl C. Sams Foundation, Inc. is a private corporation created and funded solely by Earl C. Sams (Childhood family portrait with Sams by tree), whose business career was involved with the creation and expansion of the J.C. Penney Co. 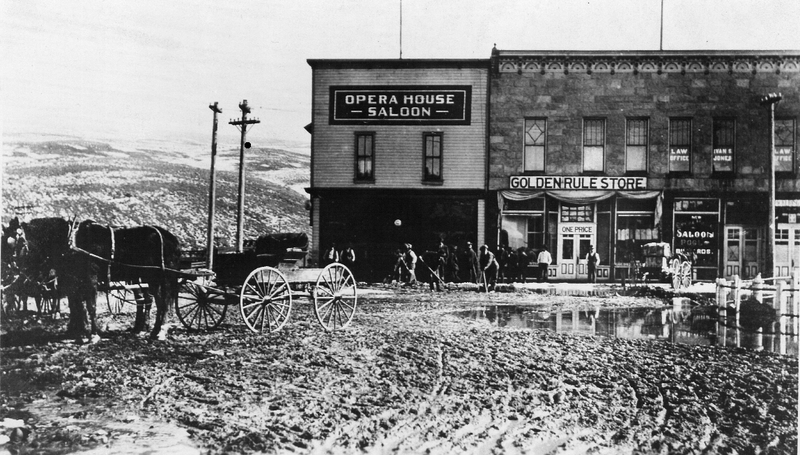 In 1902, James Cash Penney began his retail operation in Kemmerer, Wyoming. Kemmerer was a mining community of about a thousand inhabitants. The town seemed to be less than a promising location, but Penney had made his commitment in dollars before he'd seen the town and it is said he felt he couldn’t afford to pay the train fare twice. An important part of Penney’s idea was taking in working partners. However, the emphasis was on the word, "working." In 1907, there were three Golden Rule stores (the name was later changed in 1913) all near each other, in Kemmerer, Rock Spring and Cumberland. 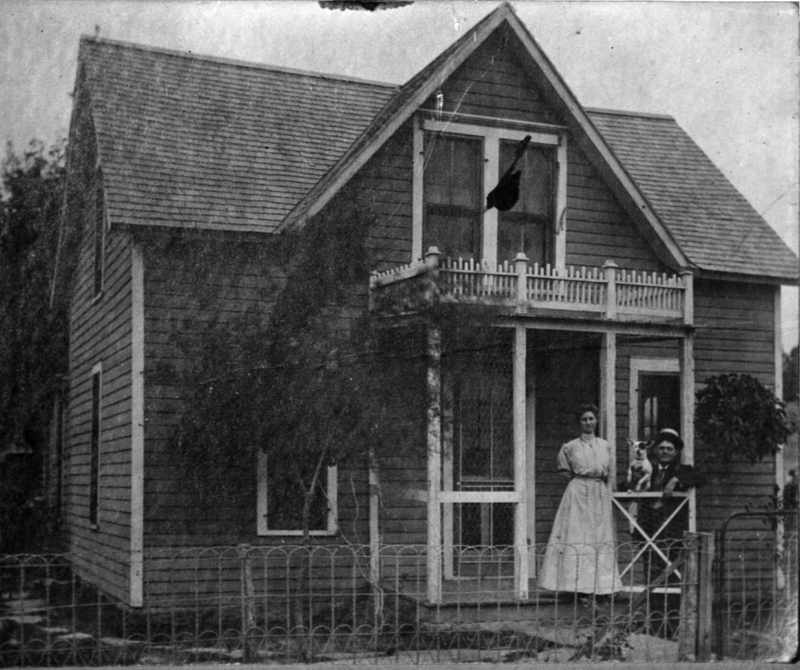 That same year, Penney hired a 23-year old Midwestern country boy by the name of Earl Sams as his “first man” in Kemmerer (1907 Kemmerer Golden Rule Store) (Kemmerer home of Earl & Lula Sams). In a short time, Penney sent Sams to run the store in Cumberland at $75 a month. 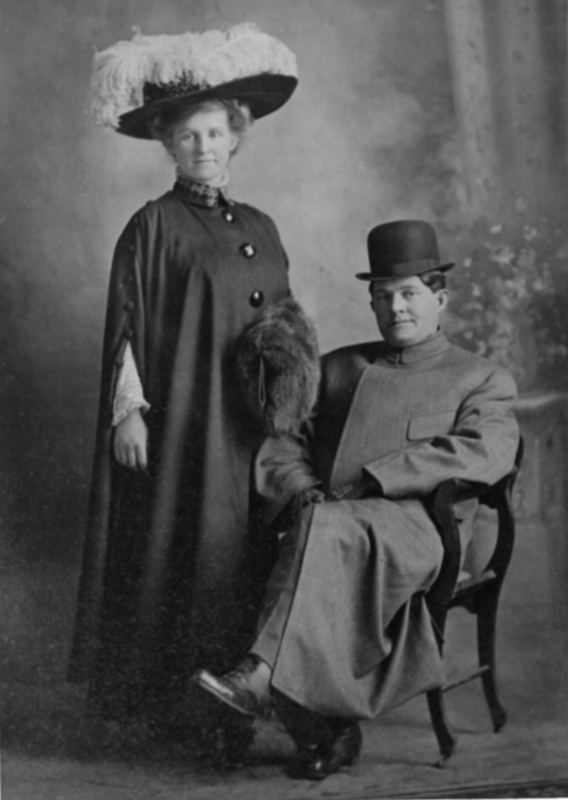 The combined salaries of Sams and his wife Lula (Portrait of Earl & Lula Sams) totaled $1,500 for their year in Cumberland, of which they managed to save just under $1,000. After a year in Cumberland, Sams using their savings, partnered with Penney to start a Golden Rule store in Eureka, Utah. (First Home) By 1909, the retail chain had grown to six stores and by 1913, there were 48 Golden Rule stores. Penney was thirty-eight years old, Sams was twenty-nine. The business was eleven and sales had reached ½ million. During that same year, six Penney partners including James Penney and Earl Sams met in a hotel room in Salt Lake City to formulate a set of principles by which to guide them in the management of their rapidly expanding enterprise. It was at this meeting that the partners changed their company’s name and set up a corporation under Utah law, as the J.C. Penney Company, Inc. Becoming a corporation had no effect on the principle of the partnership. In 1917, Penney turned the direction of the company over to Sams, who managed its day to day operations as president until 1946, when he relinquished the presidency to become chairman of the board. Sams served as chairman of the board until his death in 1950, having served thirty-three years as Chief Executive of the J.C. Penney Company. On December 10, 1946, four years before his death, Sams created the Earl C. Sams Foundation, Inc. The Foundation was funded with 40,000 shares common stock of the J.C. Penney Company. Foundation funds established by Mr. Sams have been used for many projects in various educational, medical, social, religious and environmental fields, but the largest single project has been the Gladys Porter Zoo in Brownsville, Texas. Earl C. Sams had two daughters, Gladys and Camille who were raised in New York state but eventually married Texans and settled in the Brownsville area. Gladys Porter (1910-1980) and Camille Lightner (1913-1962) were both very active in charitable work, and they and their families were charged with the responsibility to wisely administer the Foundation established by Mr. Sams. During the sixties, Gladys C. Porter became increasingly interested in the plight of the world’s wildlife when she and her husband, Dean, traveled extensively in Africa and other wild places. The idea of a zoo for the Rio Grande Valley developed at this time, and the Earl C. Sams Foundation members decided that this would be their next major project. Construction began in 1968 and was completed in 1972. Mrs. Porter was very closely involved with the planning, construction and stocking of the zoo. She was also instrumental in establishing the Valley Zoological Society, the governing body for the zoo, and served as its first president until her death in 1980. After the death of Gladys Porter on March 16, 1980, the administration of the Earl C. Sams Foundation was moved to Corpus Christi, Texas, and the Foundation was converted into a Texas foundation by a series of legal steps, which were completed in June of 1988. At the same time, a division of the Foundation’s assets occurred and the Lightner Sams Foundation was formed. There was a subsequent division of the assets of the Lightner Sams Foundation. Today, three separate Foundations, the Earl C. Sams Foundation, the Lightner Sams Foundation - Texas and the Lightner Sams Foundation - Wyoming serve the charitable legacy created by Earl C. Sams. Dorothy (“Dodie”) Porter Hawn (1936-1998), daughter of Gladys and Dean Porter, succeeded Gladys Porter as President of the Foundation. Thanks to the efforts and leadership of Dodie P. Hawn and John D. Hawn (Treasurer) (1923-1986) the assets of the Foundation grew significantly during their tenure. As a result, the Foundation finds itself in a position to assist a wider array of charities today.